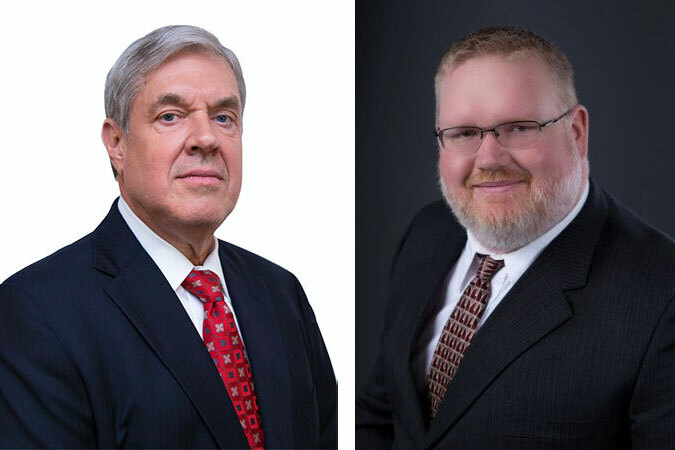 Trion Solutions, a Troy-based professional employer organization that manages human resources administration for more than 600 small-mid-size businesses in the U.S., has promoted Robert Naglick to CFO and Reuben Rienstra to vice president-corporate controller. Naglick was Trion’s director of accounting, and Rienstra was corporate controller. Andrew Kirk, the company’s previous CFO, resigned after holding the position for three years. Naglick joined the company in 2016 as director of accounting. He was CFO at Saginaw’s B&P Process Equipment and Systems LLC, where he worked for seven years. His previous positions also include director of finance at EaglePicher Corp.-Hillside Automotive LLC, and corporate controller at ASC Inc. After earning his bachelor’s degree in business administration from Wayne State University, Naglick completed a master’s degree in finance at Walsh College. He is a certified public accountant. Rienstra has been corporate controller of Trion Solutions for the last two years and was previously director of financial reporting and financial systems at Active Aero Group, where he worked for 11 years. He earned his bachelor’s degree in accounting from Central Michigan University and his Master of Business Administration from Walsh College.